Wynantskill - Eleanor May Haughney Hansen, 92, formerly of Main Avenue Wynantskill died Tuesday, January 15, 2019, at Eddy Heritage House Nursing Center after a long illness. Born in Melrose, she was daughter of the late Joseph Andrew Haughney and Ethel Barry Haughney and wife of the late Harold C. Hansen. She was raised and resided in Wynantskill most of her life. 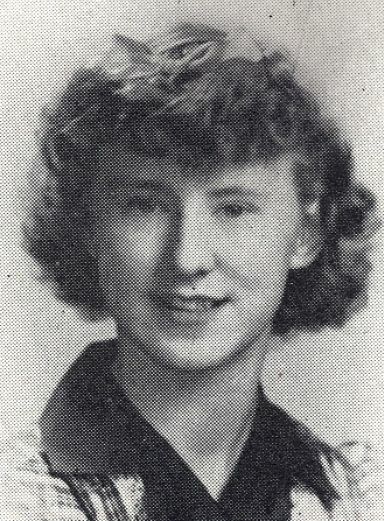 She spent most of her summers on the Haughney Farm in Melrose and was a graduate of Troy High School and Albany Stenotype School. Eleanor was a clerk for the New York State Higher Education Service Corporation in Albany for 14 years retiring in 2000. Prior to raising her children, she was an Adjuster for Eisenberg Insurance in Troy. Eleanor loved spending time with her family, crossword puzzles and attending Broadway Shows and casinos with her special friend, the late Theresa Walker. She was a communicant of St. Jude the Apostle Church in Wynantskill and its Altar Rosary Society. The family would like to thank the staff of Eddy Heritage House, St. Peter's Health Partners, Home Instead Senior Care and Community Hospice. We would also like the thank Rita, Valerie and Christine Hansen for their compassionate care for Eleanor. Survivors include four sons, Daniel P. (Theresa) Hansen, Troy, Mark A. (Rita) Hansen, Averill Park, David B. (Gail) Hansen, Wynantskill and Richard J. Hansen, Schodack; several grandchildren and great grandchildren; a sister, Margaret 'Peggy' Church, Wynantskill and several nieces and nephews. Relatives and friends may call at the Bryce Funeral Home, Inc. 276 Pawling Avenue Troy on Friday, January18, 2019 from 4-7 PM. Funeral service will be held Saturday, January 19, 2019 at 9:30 AM at St. Jude the Apostle Church Wynantskill where a Mass of Christian Burial will be celebrated. In lieu of flowers contributions may be made in memory of Eleanor M. Hansen to the Alzheimer's Association of NENY 4 Pine West Plaza, Suite 405 Albany, NY 12205 or the Charity of one's choice.